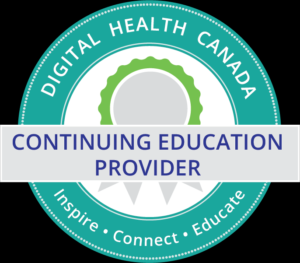 BCHIMPS is a Digital Health Canada Continuing Education Provider (CEP) for Certified Professionals in Healthcare Information and Management Systems – Canada (CPHIMS-CA). Attendance at this program entitles certified Canadian College of Health Leaders members (CHE / Fellow) to earn Category II credits towards their maintenance of certification requirement. The Canadian College of Health Information Management accepts participation in BCHIMPS Education Symposia as continuing professional education (CPE) hours toward maintenance of the CHIM professional designation. Up to 6 CPE credits may be claimed for this event.